Uganda. Adjumani. 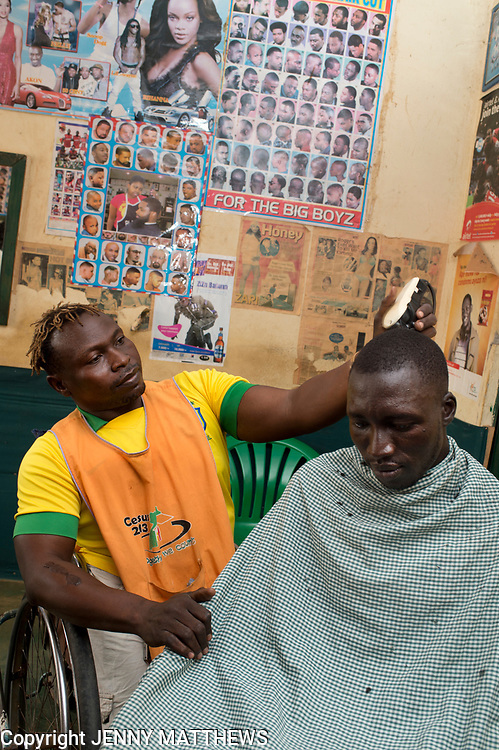 Julius Madra , hairdresser who runs the Link Up Saloon. He has a physical disability.